The British Parking Association have awarded our new Lynchgate Car Park the Park Mark status in recognition of the high level of safety and security standards the car park meets. 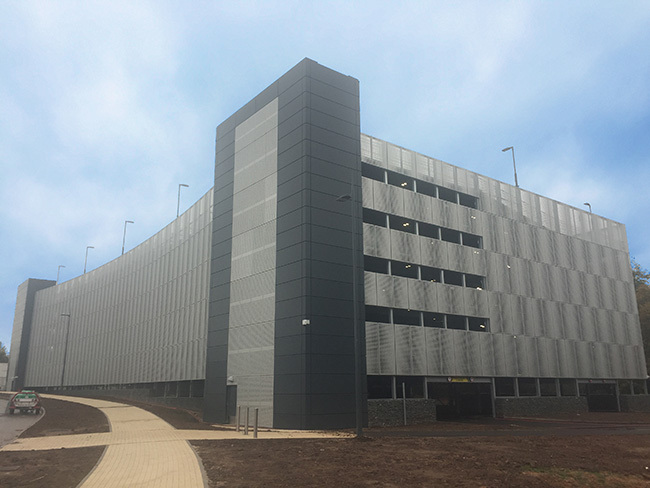 The award is an official recognition of the hard work of Security Services and the Estates Office to create a car park with excellent and efficient lighting, good CCTV coverage and a generally welcoming and safe environment. Lynchgate Car Park is the sixth car park on campus to be awarded Park Mark status. The other car parks recognised so far include 7 (Arts Centre), 9 (Physics), 12 (Westwood Sports Hall), 13 (Tennis Centre) and 16 (University House).